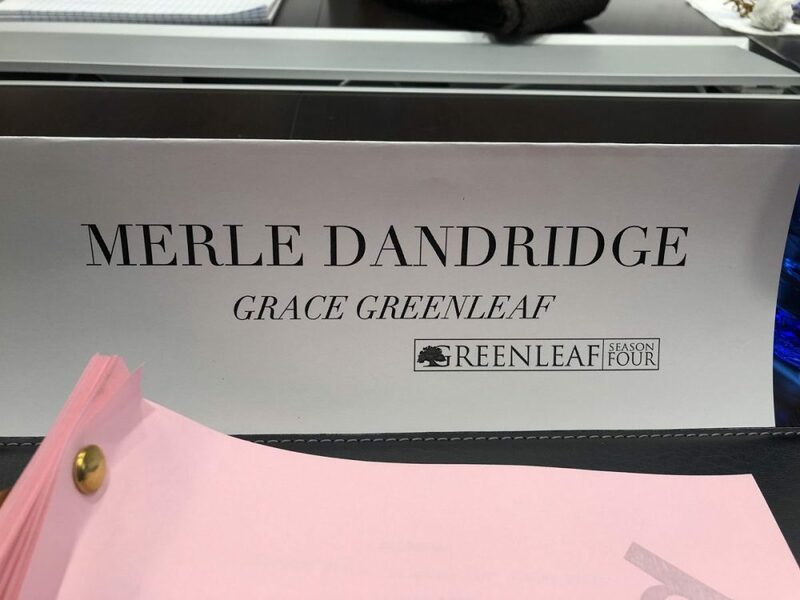 OWN’s ‘Greenleaf’ Season 4 Has Started Filming and You Could Be a Part of It! On this Sunday morning, it gives me great pleasure to tell you that OWN’s “Greenleaf” has started filming here in the A! If you don’t believe me, check out these social media posts I’ve rounded up from the cast! This huge, beautiful church has featured in all three seasons as lead character Bishop James Greenleaf’s home church, Calvary Fellowship. Organized more than 138 years ago as a Sunday School and prayer meeting group, it now ministers to five generations under the leadership of senior pastor/teacher Dr. E. Dewey Smith, Jr.
All three seasons of Greenleaf have been filmed at Eagle Rock, according to location manager Patrick Rofoli. The parsonage and various swing sets are all also shot on various Eagle Rock stages. “Both Norcross and Gwinnett County are film-ready communities with great support from the citizens and the government,” Rofoli added. Season 3 of Greenleaf involved the fictional Thompson Casket & Funeral Service, filmed at the family-owned Wages & Sons Funeral Home, which has served metro Atlanta’s funeral and crematory needs for more than 50 years. And if you’re in the metro Atlanta area (or if you’re willing to fly in I guess) and have a baby, you can be on set THIS week! Greenleaf season 4 is now casting babies in Atlanta, Georgia. CAB Castings is now casting two African American toddlers ages 6 months 8 months old for the 4th season of OWN’s hit TV series Greenleaf. Casting directors are looking for kids with a brown complexion who are between 21 to 23 inches with filming on January 30th in Atlanta, Georgia. Babies will be compensated $100/day. Check out the rest of the post on projectcasting.com. And if you want to be an extra, you should probably bookmark Project Casting’s web page for more casting calls! I’m sure there will be more opportunities available!